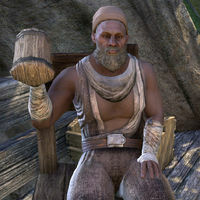 Afwa is a Redguard who can be found sitting in a treehouse west of Karthdar. He lives there together with Rinces and Tholor the Dreg. This page was last modified on 9 November 2017, at 02:11.